I participated in Million Makers in my first few months at BT. It is a scheme run by >The Prince's Trust. It is a competition between companies to raise money for the Prince's Trust by running a mini-enterprise. One of the approaches we took to generate revenue, was to develop this app. 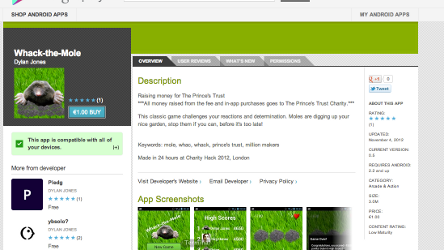 It was quickly made at Charity Hack 2012.